For most families, their home is their largest financial asset, and deciding to sell it is a big decision that involves a lot of preparation and work. When you're ready to sell it's important to have an experienced and professional real estate team handling the details involved in the successful sale of a home for top dollar. 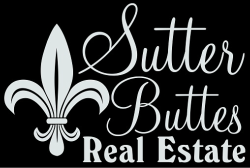 As experienced professionals who have helped many Yuba City residents sell their homes, we know how to handle every aspect of the sales process - from strategically marketing and showcasing your home to making sure everything's signed, sealed and delivered by the closing date. Step One: Determine what your home is worth. Call or Email Sarah and ask for your home valuation report. We will provide you with a report estimating what your home is worth in the current market. It's a free service with no commitment. Step Two: After we get an estimate of your home's current value, it's time to schedule a listing appointment. We'll discuss every detail involved with getting the property prepared and listed on the market. We'll decide upon a marketing strategy and use all of our resources to attract the best buyers and highest price we can. Step Three: When the property is listed, buyers will schedule viewing appointments with us. They will submit offers for our review, and together we look them over to determine which ones are reasonable while weeding out poor and frivolous offers. As your seller's agent we will negotiate the terms and price with potential buyers and their agents. When we find the best offer, and you're satisfied with every detail, you can accept it. Step Four: After we accept and the buyer has made the deposit, we can move forward with the remaining steps in the selling process including inspections, escrow, and closing.